My mother Ruth was born in Yaffo near Tel Aviv and my father Abrasha, in the city of Samarkand. They both grew up in the twenties and thirties in Jerusalem which at the time was under the rule of the British Mandate until 1948. They each had five brothers and sisters and both their families had lived for several generations in the city. A philanthropic and trading family on my father’s side and a Sephardi-Spanish family with strong rabbinic roots on my mother’s side. Ruth and Abrasha ended up married to each other and living in London in the fifties. So when I was born in 1955, I came into a lifestyle that wavered between evolving Israeli habits and customs on the one hand and the more prim and proper British lifestyle on the other. They were not easy to reconcile and ultimately I never felt that I was entirely British or fully Israeli. I seemed to live between these worlds and not in either one. In 1960, my mother took me to Israel for the first time. We flew to the old airport in Lod and it seemed like my entire family came to the airport to greet us. I will never forget meeting my grandfather Nissim (for whom I had been named) for the first time. He told the other grandchildren that during the visit he would be giving special attention to me, the grandson he had met for the first time. He sat me on his lap the entire journey from the airport back to Jerusalem in one of those big old Mercedes taxis. I would never forget my grandfather, who died three years later, or being in Jerusalem for the first time. Though I was very young, I have distinct memories of a divided city with massive walls separating the city between east and west and between the old and new city. I remember seeing Jordanian legionnaires from no more than fifty metres guarding on top of a building where today’s Cinematic now stands. Some years passed and I remember crossing those dividing lines for the first time just after the 1967 Six Day War and coming to the Western Wall through the souk in the Old City. These were days of great celebration and newfound confidence as Israel had in essence shown the world that it was able to prevail over its neighbours on three fronts in the most decisive way and in such a short time. It was a dramatic military victory but one that would also have considerable implications for Israel’s national security in the long term. The War did however send a very powerful message to Jews throughout the world that Israel could defend itself and survive. Jews in the world could now look anyone in the eyes with pride and feel that they were no longer a weak and defenceless people that would go like lambs to the slaughter. This was a particularly strong message to the ears of a young Jew living in London that began to discover his inner nationalistic identity and read about other great conflicts and struggles. It must have been then that I came across a saying attributed to a leader in the Spanish Civil War La Pasionaria when she said that “it is better to die on your feet than live in your knees.” We were not living on our knees in London, but this sense of nationalistic pride began to grow within. In later years while reading Raymond Aron’s brilliant book entitled “Peace and War,” Aron explained how Moroccan and Algerian nationalists could never be won over to the cause of French greatness because “Ideas are more malleable than souls; nationality is inscribed in souls not in ideas.” I suppose that I was in the process of discovering what was inscribed in my soul. I was eleven years old when my father decided to take us to visit the fortress in Akko near Haifa, in which the British had imprisoned and executed members of the Jewish underground. This event had a very profound impact on me. As we walked through the prison, my father explained to me for the first time I could remember, that he had been a member of the Irgun Zvai Leumi (ETZEL) and that he had been arrested a couple of times and imprisoned in the Kishle prison in the Old City in Jerusalem. 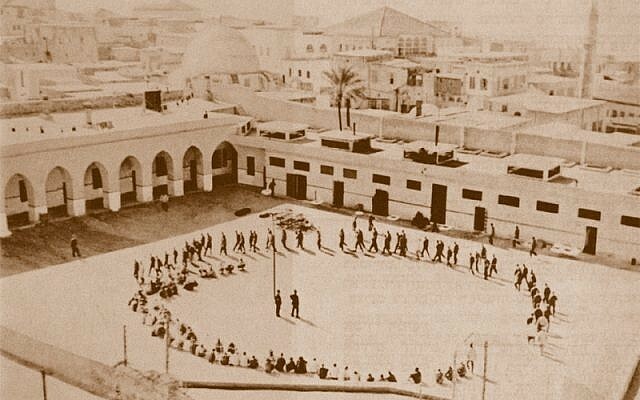 This was a prison with mostly Arab inmates and when I asked my father if he was scared he said that the Arab inmates were more scared of him as a suspected member of Etzel than the other way round. As the British had not found any arms on my father they did not put him on trial and he was subsequently released. Back in Akko, we finally entered the Execution Chamber with the gallows, the noose and the pictures on the wall of the Jewish fighters that the British had executed. This was a very decisive moment for me and from that day on, I never had any further questions as to my identity – everything had become completely clear. I continued in high school and later went on to study at the London School of Economics. During these years, I was somehow able to separate my anger at the British for what they had done during the Mandate period, from my years in England which had provided me a very solid education and my family a comfortable way of life. But I still had this Israel bug in my bones and felt I was being drawn by some compelling force to my destiny. In the summer of 1973, I decided to spend the summer in Israel. I rented an apartment in Jerusalem for about six weeks and this was going to be my ‘gap year’ before I went to University. During this time I remember doing two things: reading Crime and Punishment by Fyodor Dostoyevsky and becoming increasingly disappointed by how different I had become from the Israelis I had known. The air of relief and triumph after the ‘67 war seemed to have been transformed into a sharp rudeness and arrogance that contrasted with my milder British manner. Dostoyevsky’s book was very insightful regarding what people with a conscience should or should not do, but the time in Israel increased my doubts as to whether I was doing the right thing in leaving England. I began my studies in London on October 1st. Six days later the Yom Kippur War broke out. Israel had been attacked by Egypt and Syria in a surprise attack on both fronts. This changed everything and the first thing I wanted to do was to get on a plane to Israel. The LSE were very kind and were willing to defer my studies by one year but there was only one problem. The only people being allowed on planes were reservists returning to Israel to fight and I had no chance of getting a place. In all honesty there would not have been a lot that I could have done other than volunteer on a kibbutz, which I did for a month in December in Beit Nir after the end of the war. During that time I saw again the Israelis I had once known: my cousins spending weeks on end at the front deep in Egypt; soldiers not being home to see their children born; people pulling together in such a selfless and dramatic way – but so many people killed and wounded. Israel had won the war decisively but had suffered a major body blow. This was a country that would demand everything of its people – this was the Israel in which I realized I had to live. Subsequently, I decided to finish my studies in LSE and switched to specialising in international law and then strategy in my master’s degree in international relations. In these four years three people inspired me. The first was a chain-smoking lecturer in LSE called Philip Windsor who had to be one of the few geniuses I had ever met. I would go to each and everyone of his lectures which all started with him lighting up a Dunhill cigarette and talking without notes for almost an hour. No two lectures were the same – he constantly reinvented himself and forced you to think dialectically and analyse the true effects of various processes, even when those effects seemed obvious. My proudest moment in LSE was to receive a “first” in Strategy from Philip Windsor. 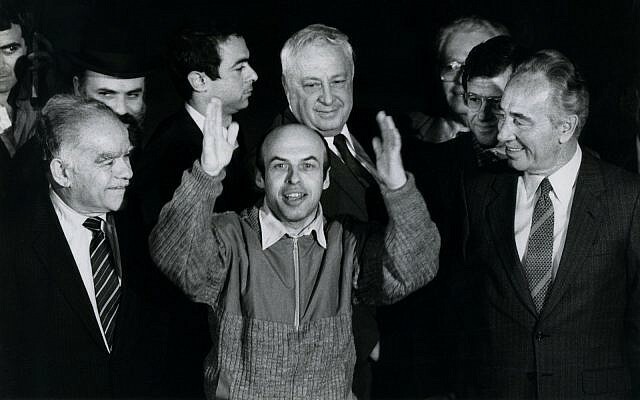 The second person that inspired me was Natan Sharansky who had been arrested in March 1977 and had been such a pivotal leader of Soviet Jewry. His courage in looking into the eyes of the Soviet regime and demanding the issuance of exit visas in filmed camera interviews, also posed, without necessarily intending to, a central challenge for other Jewish communities in the west that could freely emigrate to Israel. Sharansky was risking his life to get a visa to Israel and would those in the West that supported him in England, France and the United States remain where they lived and ignore the right that Sharansky fought for. This question weighed a lot on my mind. 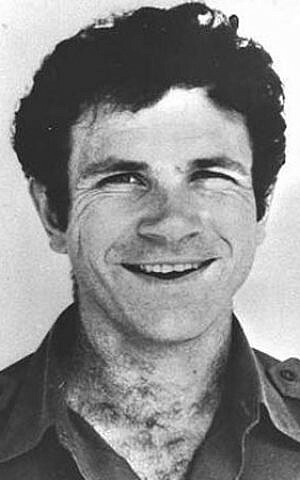 The final person who inspired me was Yoni Netanyahu who was killed in the IDF rescue mission in Entebbe in 1976, commanding the Sayeret Matkal unit that had pulled off one of the most daring military operations imaginable. I remember that night hearing on the radio that the hostages had been freed by Israeli commandos. This was one of those most powerful moments when everything good about Israel came together, but as is usually the case, came at a painful price with the death of Yoni. In the days afterwards much was written about Yoni and his pictures were everywhere – he was the quintessential Israeli hero. Thirty days after the operation I was in Israel and attended the ceremony in his memory at the Beit Ha’am hall in Jerusalem, which was filled with soldiers from Yoni’s unit and members of the public. I remember someone who appeared incredibly young, coming onto the stage saying that he had been Yoni’s commander. His speech was very eloquent and touching and though my Hebrew was not perfect, I understood one central thought. He said that all people can be replaced but there is one thing that no one can ever replace, namely, what that person could have become had he lived. In Yoni’s case he could have become a future Chief of Staff or even a prominent political leader. The speaker that day turned out to be Ehud Barak a future Prime Minister. These were the events and people prompting me to come to Israel in September 1977. I came to live in Jerusalem a few months after a major political upheaval in Israel in May 1977 with the election of Menachem Begin, the leader of the Likud Party. He was the former commander of Etzel and assumed the post of Prime Minister. 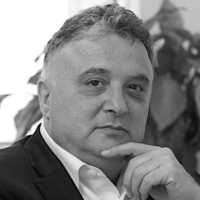 I remember at that time, Uri Avineri a former member of Etzel who became a prominent left-wing writer, wrote a major article in his weekly Haolam Hazeh in which he depicted seven or so distinct scenarios in which Israel would find itself in total war with its neighbours in the near future. Not a very welcoming thought to someone who had just left everything in England to live in his new homeland. 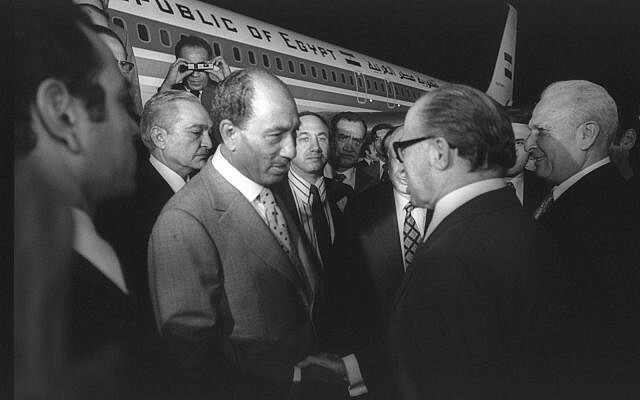 Interestingly, the one scenario that had not been mentioned was the dramatic and unprecedented visit of President Anwar Sadat to Jerusalem, which happened a few weeks later in November 1977. I felt I had made the right choice. 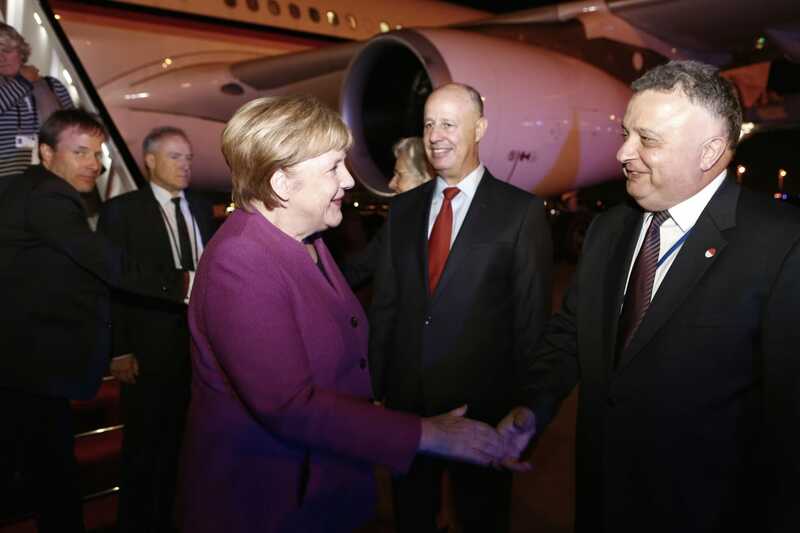 Jeremy Issacharoff is Israel ambassador to Germany.